Last week, a rumor came out that many Retina iPad Mini LCD panels manufactured by Sharp were suffering from image retention. 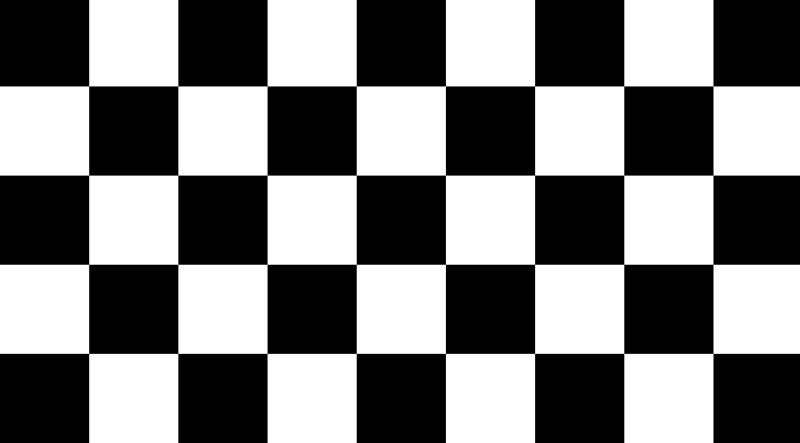 If the LCD panel has an image retention issue, a faint impression of the checkerboard will still be visible on the solid gray image, usually fading over the next few minutes. A failed image-retention test on my Retina iPad Mini: note the faint checkerboard pattern in the solid gray area. It’s pretty hard to see in photos — it’s easier to see in person. It’s not the sort of problem that I’m likely to notice in actual use — I’ve never noticed it on my Retina MacBook Pro, and it has worse image retention than this iPad on my test page. Since Apple’s using multiple panel manufacturers, I could exchange it and hope for a better one. But it’s also possible that, given the extremely low volume that’s trickling into stores, any replacement I get in the next couple of weeks could be from the same batch with the same issue. I had some friends run the same test on their new Retina iPad Minis, and they all passed — no image retention. So I’ll try an exchange. There are reports that the production shortages Apple is facing with the new Mini are the result of image retention (a.k.a. burn-in) problems with displays from Sharp. I can’t speak to this issue in the large, but the model in my hands has no such problem. I tested it using Marco Arment’s image retention test. Marco himself tested his own new iPad Mini the same way, however, and his device failed. I’ve also seen reports of white-balance issue, or yellow-ish tinting, with the new Mini. To my eyes, colors are nearly identical between the Mini, the Air, and my iPhone 5S. 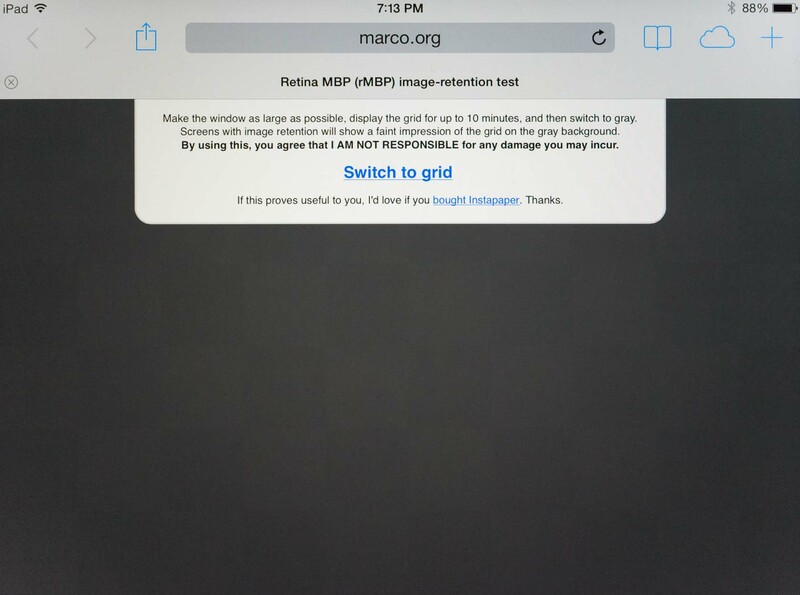 I ran Marco Arment’s image retention test on the Retina mini and didn’t see even the slightest degree of image retention. My old, non-Retina iPad mini on the other hand exhibited image retention. I suspect Apple is multi-sourcing its displays here, which could obviously contribute to varied behavior. At least on the two minis I have, image retention isn’t an issue.